2NITE. 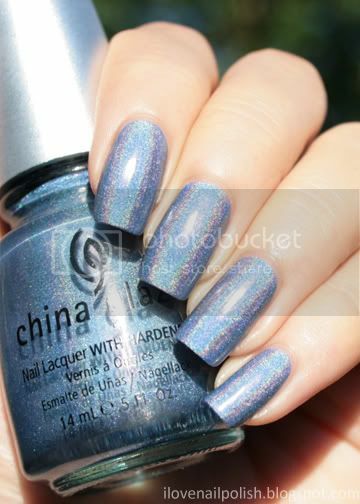 A beauuutiful blue holo. Two coats. Since before Christmas, I have been going through a blue phase. This one is very pretty also. 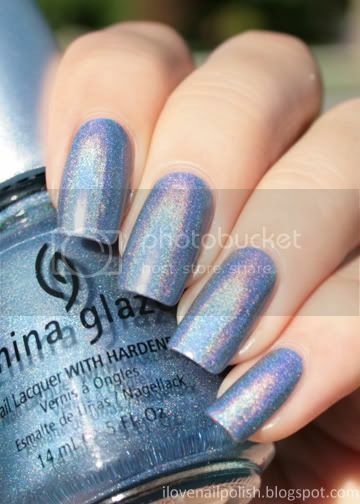 I missed out on the China Glaze OMG line but I hope to get some of the blue holographic polishes in the upcoming China Glaze Tronicas line. Thanks for sharing. Some pictures from my trip!